You’ve probably tried a standard Margherita pizza before, but we bet you’ve never tried a “margarita” pizza. 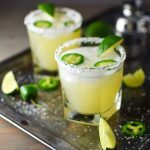 Popular Tequila brand Patrón teamed up with New York’s Bodega Negra restaurant to craft a literally intoxicating and distinctly over-the-top new pie, and the so-called Platinum Margarita Margherita Pizza is a doozy, according to TIME. “I just wanted to make it as extravagant as we could,” chef Michael Armstrong explained of his creation. This is only a pizza in name. From the tortilla crust to the toppings of lobster, mango, Osetra caviar, black truffle shavings, edible platinum foil, and avocado, it bears little resemblance to the Italian classic that inspired it. It will also get you tipsy, thanks to the infusion of two different types of top-grade tequila within the pizza’s ingredients. (About three shots total are slung into in the making of one pie, which will feed three diners.) 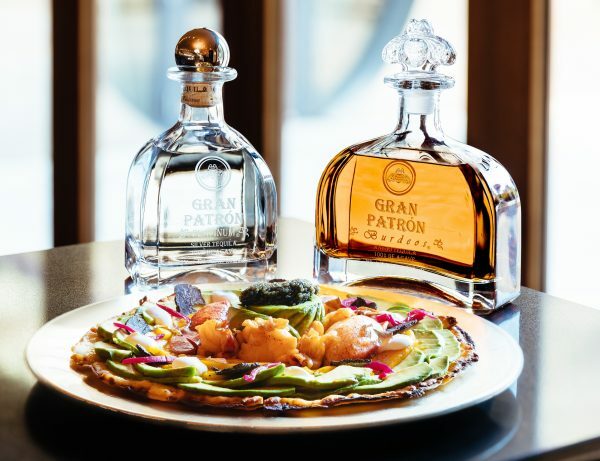 There’s the $150-per-shot Gran Patrón Burdeos, with which the lobster tail and sliced mangos are sautéed. And there’s another shot of Gran Patron Platinum mixed into the crema topping. In a city known for its dollar slices, $100 for one if you split this among five friends is beyond steep. But then again, it also doubles as a wildly expensive beverage in solid form. The world's highest-quality ultra-premium tequila, crafted from 100% Weber Blue Agave. Must be of legal drinking age to follow. Enjoy responsibly.